Will Smith says his marriage is "intact". Jada Pinkett denies affair with Marc Anthony. Will Smith denies recent reports claimed his marriage to Jada Pinkett Smith is finished. Will Smith, 42, decided to release a statement to the press via his representative after an In Touch Weekly magazine report claimed the pair had separated. Will Smith’s statement came few hours after Jada denied having affair with her Hawthorne co-star, Marc Anthony. Jada Pinkett Smith, 39, addressed show-biz whispers of a liaison with Marc Anthony, Jennifer Lopez’s ex husband, who joined her TV show as a love interest last year. “All the rumours regarding Marc Anthony and Jada are false. Completely untrue,” said Karynne Tencer, Jada’s spokesperson. Marc Anthony, 42, divorced from Jennifer Lopez last month after a 7 years marriage. They are parents to twins Emme and Max, 3. In Hawthorne TV series, Jada plays widowed chief nursing officer Christina, who juggles the demands of her career with bringing up a teenage daughter. She is also an executive producer the show. Marc Anthony was initially introduced as a guest star playing police detective Nick Renata, but is now a series regular. He also serves as the show’s executive music producer. [googlead tip=”vertical_mediu” aliniat=”stanga”] Will Smith’s older son from the previous marriage, Trey was the first to defend the couple, who married in 1997. Will Smith and Jada Pinkett Smith have two children together – Jaden, 13, and Willow, 10. Will Smith had been divorced before he met Jada . Will split from Trey’s mother – former fashion design student Sheree Zampino in 1995 – after 3 years of marriage. Will Smith and Jada first met in 1990 when she auditioned for the part of his girlfriend on The Fresh Prince of Bel Air TV series. Jada Pinkett was rejected at the audition because she was considered too short. 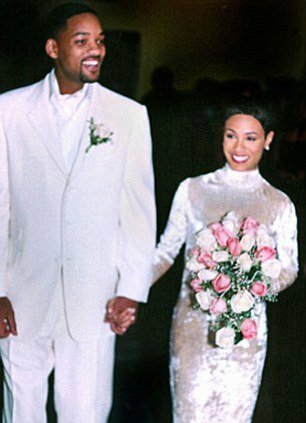 Will Smith married Jada in 1997, having a lavish ceremony at a mansion near her hometown of Baltimore in front 100 friends and family. Jada was two months’ pregnant with Jaden at the time. Will Smith and Jada Pinkett, who recently went on a family holiday in Hawaii, were last seen in public together on the set of US daytime show The Talk. Last week, Will Smith made a surprise appearance on the show as Jada gave an interview, and they shared a public kiss. Will Smith says his marriage is "intact"
Earthquake on US East Coast.